Armed Forces Personnel and Veterans to play leading role in Scar Free Future - thanks to new £4.5 million UK-first research centre. The Chancellor of the Exchequer, Philip Hammond, has this afternoon confirmed £3 million of LIBOR funding towards the new Scar Free Foundation Centre for Conflict Wound Research. Based at Birmingham's Queen Elizabeth Hospital this will be the UK's first specialist medical research centre to reduce the impact of scarring and improve the lives of Armed Forces personnel and civilians wounded in conflicts and terrorist attacks. This is an important milestone towards the charity's goal of achieving scar fee healing within a generation. Lifelong scarring causes significant problems for wounded military personnel and civilian survivors of terrorist attacks. We are delighted that the Chancellor has, through this major commitment, acknowledged the scale of the problem and taken action. The Centre will be run in partnership with the University of Birmingham, University Hospitals Birmingham NHS Foundation Trust, the Centre for Appearance Research at the University of the West of England, and The CASEVAC Club. Our partners and the J P Moulton Charitable Foundation have jointly committed an additional £1.5 million to the Centre's research. From next year the Centre will lead two major research projects. The first of these is the clinical trial of a new conflict-ready and transportable dressing, which helps the skin heal with reduced scarring. The second will pilot tailored psychological treatments to help seriously injured Armed Forces personnel cope with life with an altered, scarred appearance. This project will involve Veterans from recent operations in Iraq and Afghanistan, recruited through The CASEVAC Club. The Scar Free Foundation has always enjoyed a close association with the British Armed Forces and we are therefore delighted that British military Personnel and Veterans will play such a pivotal role in our journey towards scar free healing. 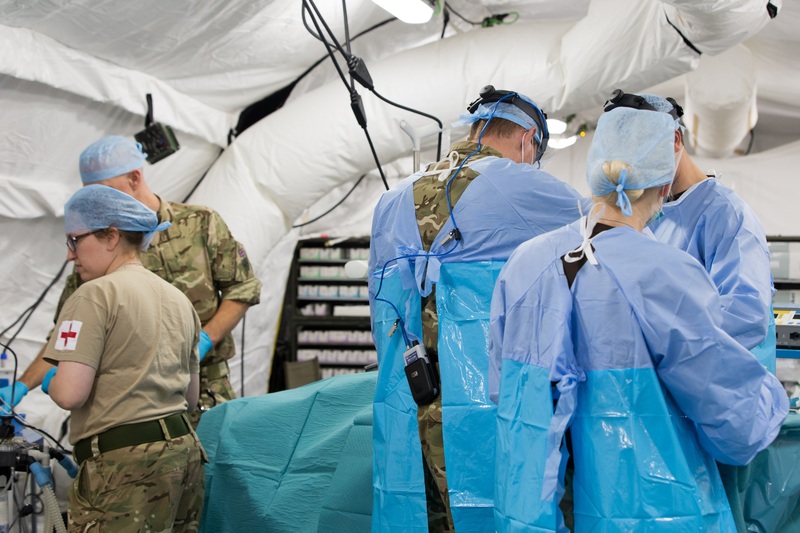 Responding to the announcement, Surgeon Captain Professor Rory Rickard, Defence Professor of Military Surgery, said, "The Centre will be a valuable addition to the field of world-leading military trauma research taking place in the UK. The Centre’s mission has clear synergies with Defence’s strategy for Far Forward Regenerative Medicine, particularly around the early management of complex traumatic wounds."